Battery life on Fitbit smartwatches and fitness trackers has improved considerably down the years, but the charge levels obviously aren't everlasting. The Fitbit Versa will give you longer than four days before conking out, while newer Charge 3 and Inspire trackers can provide around a week of uninterrupted tracking. And when it does run out of juice, you'll need to know how to charge your Fitbit back up. As Fitbit devices have evolved, so have the methods of charging them. In fact, almost every device in the range enjoys a slightly means of replenishing the battery. So, below, we'll give you some general tips to get started, with more detailed instructions for each device in the current Fitbit lineup. All Fitbit devices ship with a proprietary USB charging solution, so don’t lose it - you won’t be able to use one of the many microUSB cables you probably have lying around. If you lose the official cable, you’ll need to buy a new one. And, no, Fitbit doesn't recommend buying cheaper third-party cables. One side of the clip has a hole, which makes room for the function button, so ensure they line up. The charger will click into place. Once the other end of the cable is attached to the power source, you’ll feel a vibration and the battery charging icon with the charge level will show up on the display. It takes 1-2 hours to fully replenish these models. You’ll know when it’s recharged when the battery icon is full. The Fitbit Versa and Versa Lite features a similar cradle to the Blaze, but, like the older generation, it’s a bespoke solution. Thankfully, you don’t have to remove the watch face from its frame or even take off the strap here. The watch sits neat in the cradle (which doesn’t have to be opened first). And once connected to a USB power source, the watch face will light up with the current battery percentage and the message ‘battery charging’. From flat, a full recharge can take up to 2 hours. If you wish to use the device while charging, tap the display twice. The Fitbit Ionic has a magnetic charging solution akin to Apple’s old and dearly missed MagSafe chargers. You will need to plug the USB charging cable into a power source before lining up the pins on the charger with the pins on the watch. The magnetic force will see the charger click into place. When secure, the smartwatch will vibrate and you’ll see the battery icon and percentage on the screen. Recharging can take up to two hours, and tapping the display will show the current charge level. The Inspire and Inspire HR (as well as the upcoming Ace 2) all offer fairly similar charging methods. Here, it’s a case of holding the charging pins close to the rear surface of the tracker, in line with the three receiving ports on the rear of the device. The charging clicks into place magnetically. Once connected to the power source, charging will take two hours. When complete, press the button on the side of the device and you’ll see a smiling face. 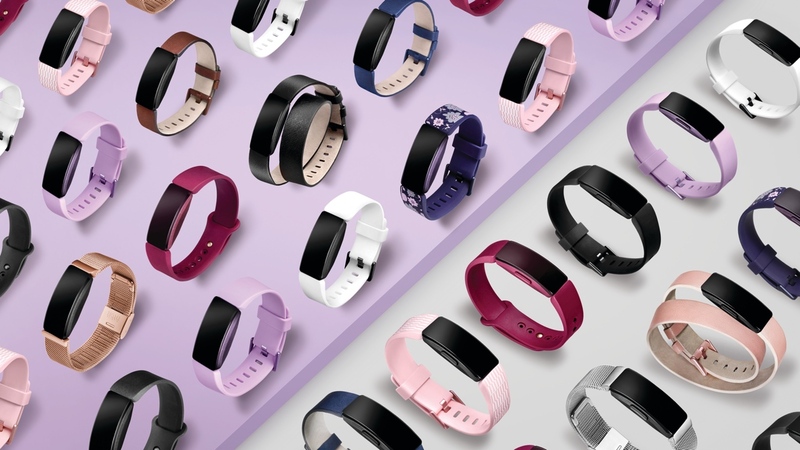 The company's kids tracker, the Fitbit Ace, as well as the popular Alta line, boast a charging clip that ensures a solid connection to the devices while charging. You’ll need to squeeze the clamps and line up the charging pins with the port on the back of the tracker. And once you’ve released the clip, it’ll grip the sides of the tracker. You’ll know the connection has been made when the device vibrates and the battery icon appears on screen. It is full when the battery image on the screen is full. Honestly, Fitbit must put as much energy into designing its charging solutions as it does trackers and smartwatches. The Fitbit Blaze smartwatch requires users to completely remove the watch face from the frame and place it inside it’s own little charging box. Push the button on the box to open it and place the detached tracker in with the Fitbit logo facing the front. Close the cradle, plug the other end of the USB cable into a power source and Bob’s your uncle. A full recharge takes 1-2 hours. This one’s even more of a pain than the Blaze. To charge the Fitbit Flex 2, you’ll need to remove both ends band and place the body of the tracker in the bundled cradle. As always, you’ll need to plug the cradle into a USB power source first. Then line up the pins on the back of the charger with the pins on the cradle. Drop it in. You’ll know the device is charging via the LED lights on the display. In 1-2 hours the charging will be complete, you’ll know when all 5 LEDs are flashing. Though not officially sold by Fitbit anymore - much like the Charge 2 and others - the Charge and its HR equivalent ship with a charging cable that plugs into the port on the rear of the device. However, it requires a little finesse to attach. First, you must place one edge of the charging cable into the pin and ease in the other side. Once connected to the power source, you will see the battery icon light up on the display. Once the meter is full, the Fitbit is recharged.